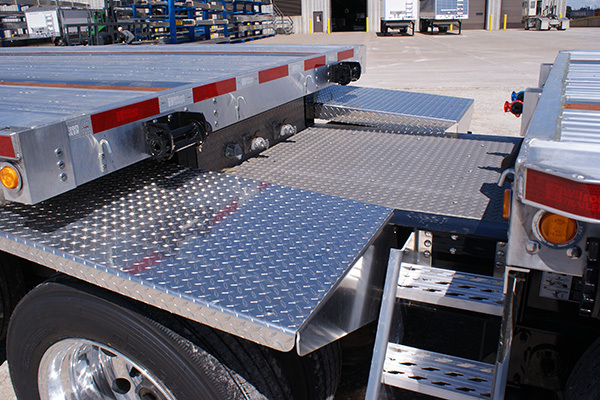 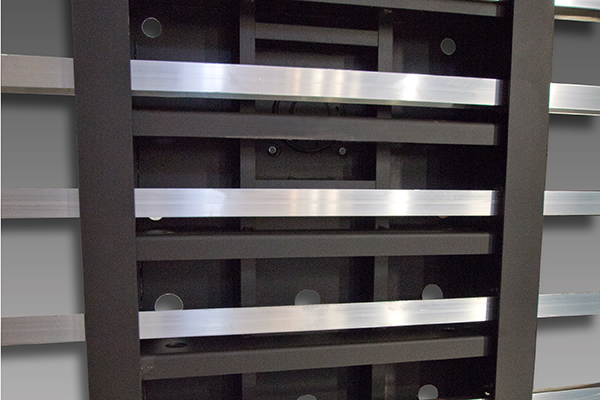 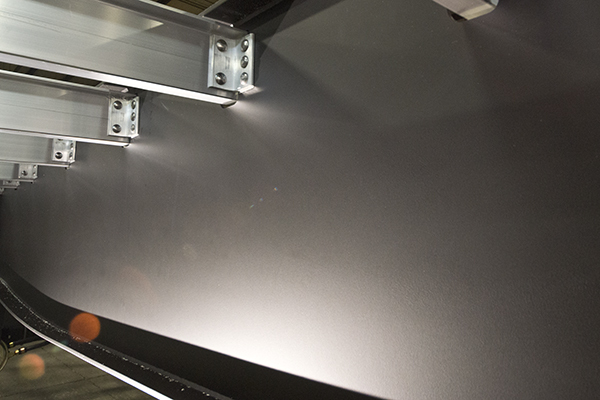 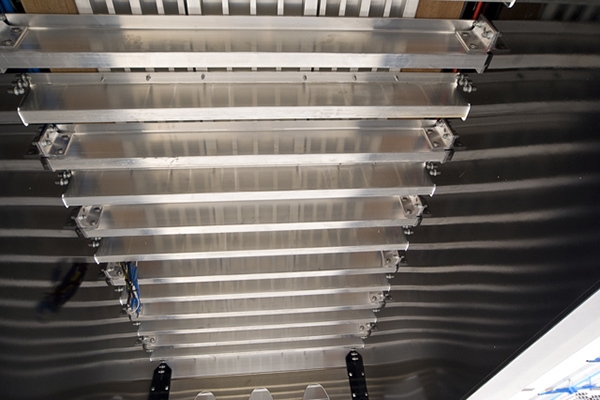 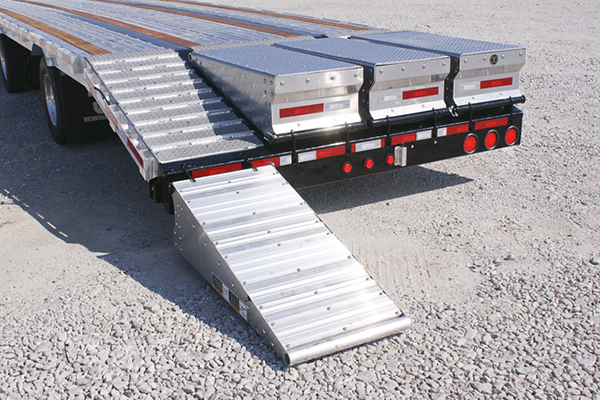 The Premier AF-1080 all aluminum flatbed has a base weight of approximately 8,000 lb. 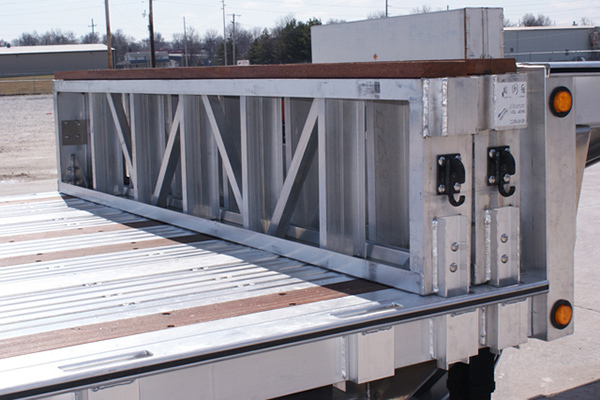 on a typical 48 ft. unit and a 23″ main beam depth. 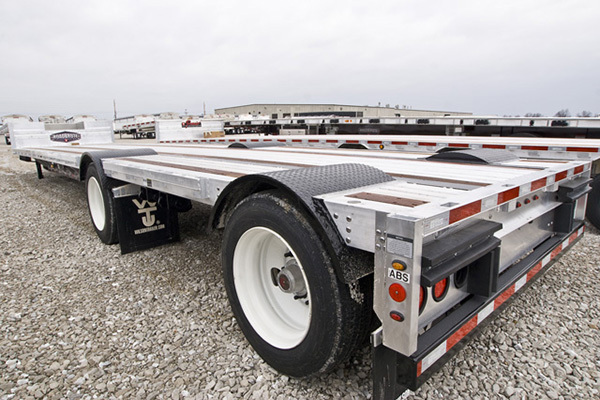 The trailer features one-piece aluminum flanges and sections without any splices and its load capacity rating is among the highest in the industry. 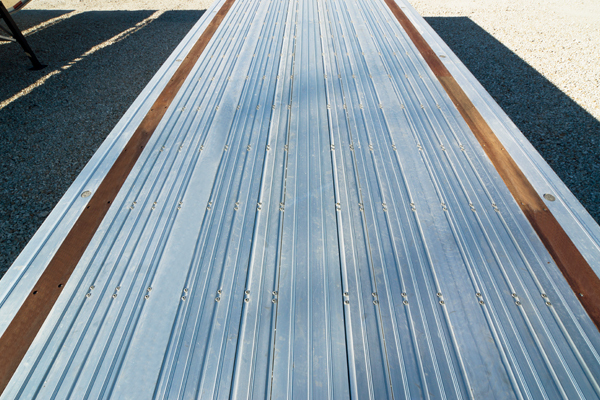 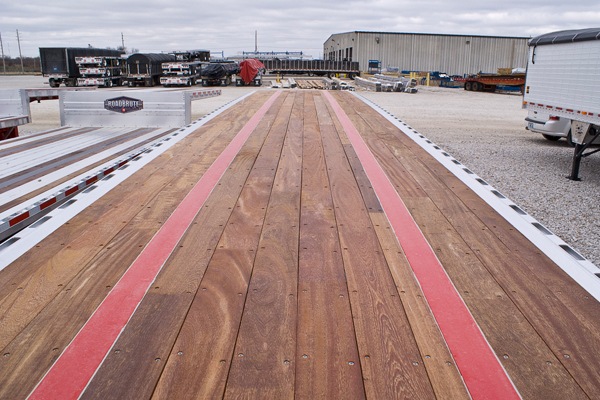 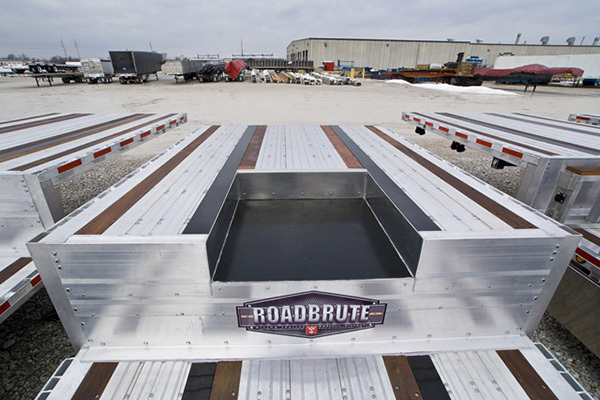 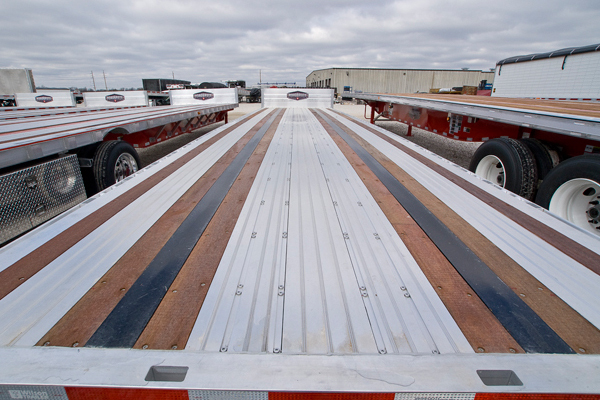 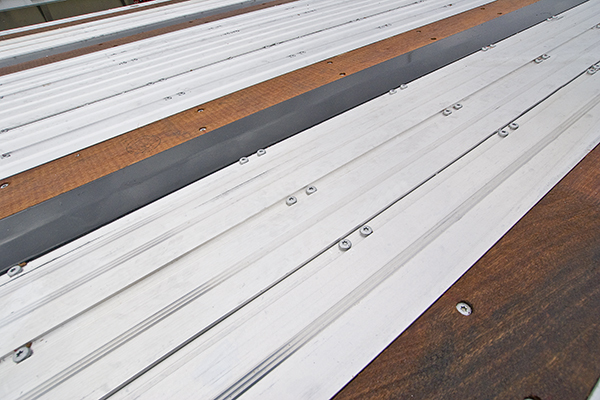 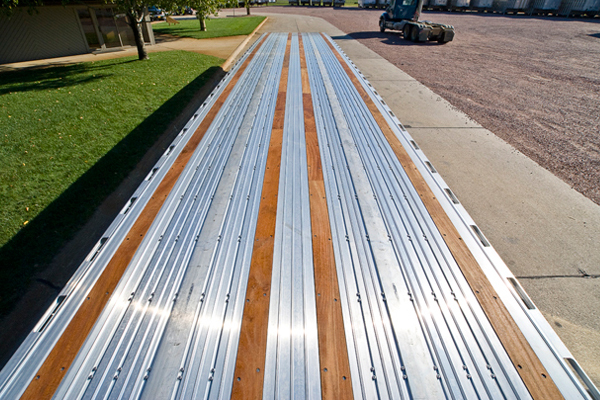 The Premier all aluminum drop deck is what an all aluminum drop deck should be – A full capacity product able to carry an evenly loaded capacity of 80,000 pounds and a concentrated load of 52,000 pounds in 4 feet of space. 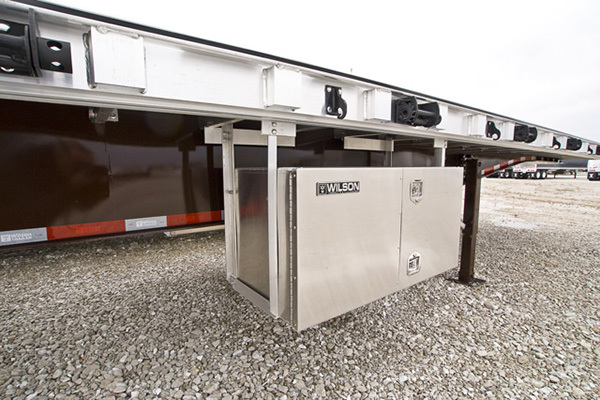 Wilson Trailer’s new patented side rail and securement design is fully supported, top and bottom, with a new TJ style crossbar design that increases the strength of the rail and crossbar connections. 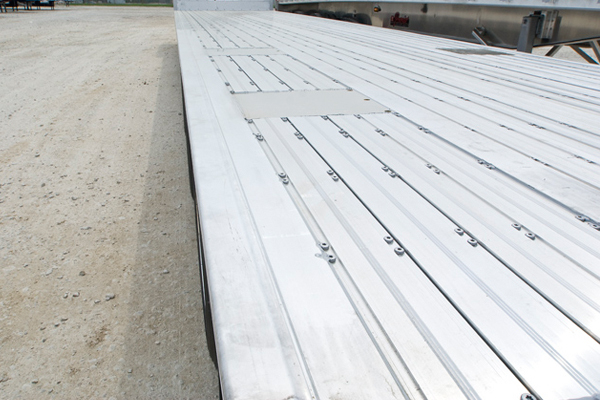 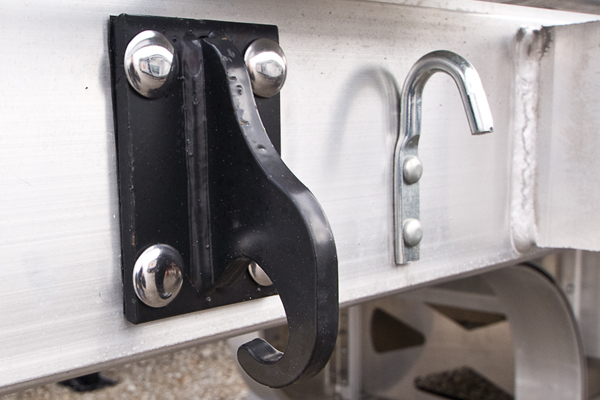 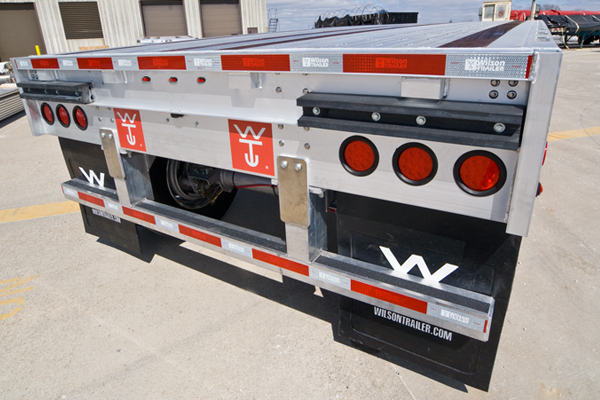 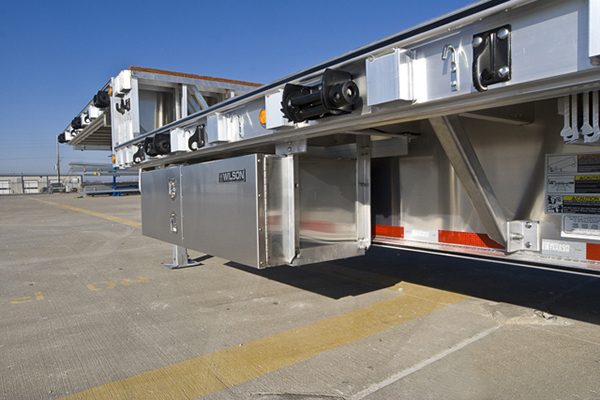 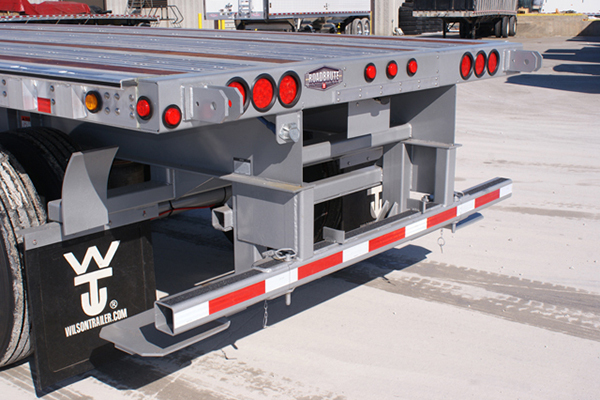 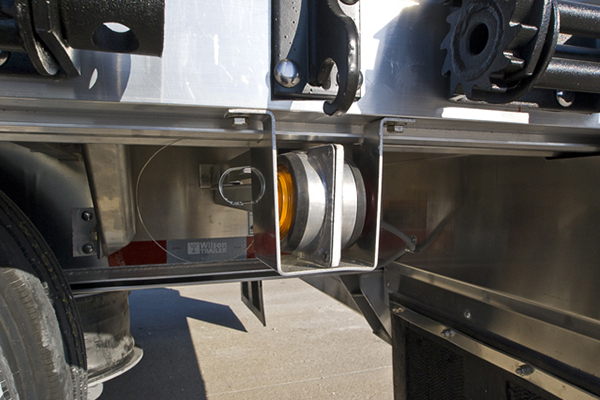 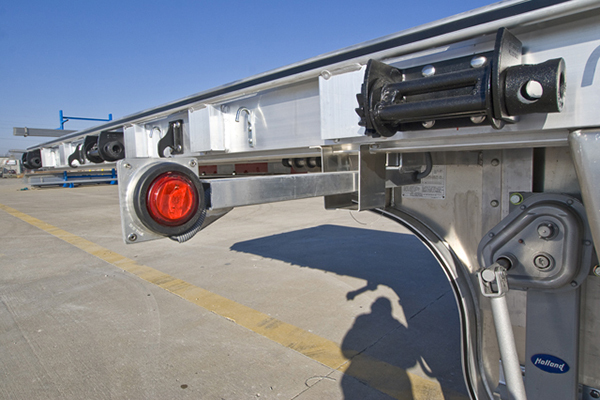 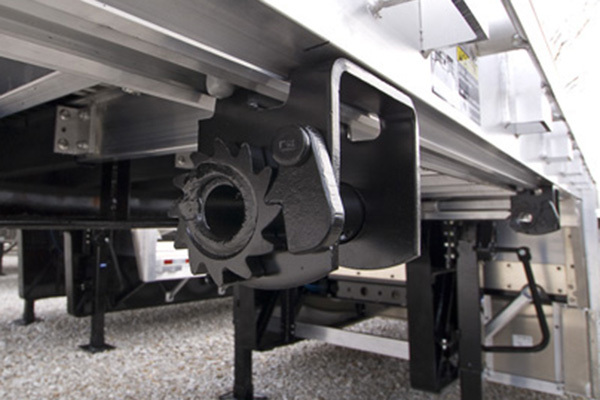 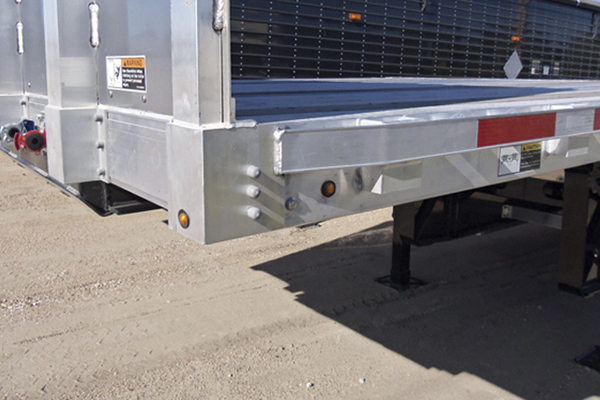 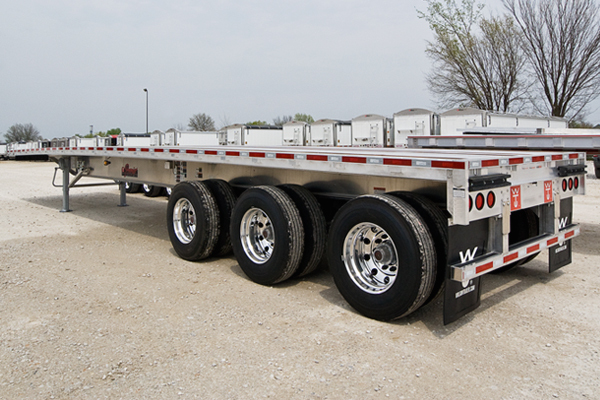 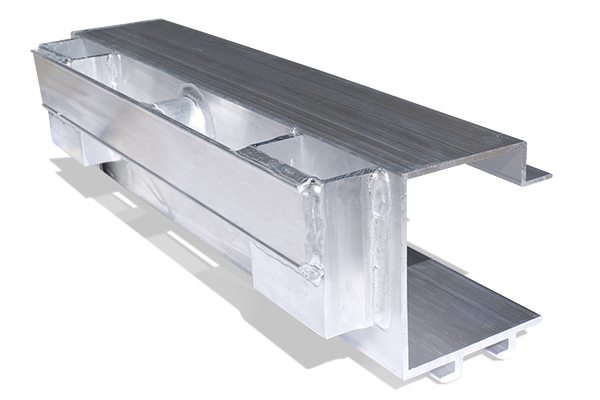 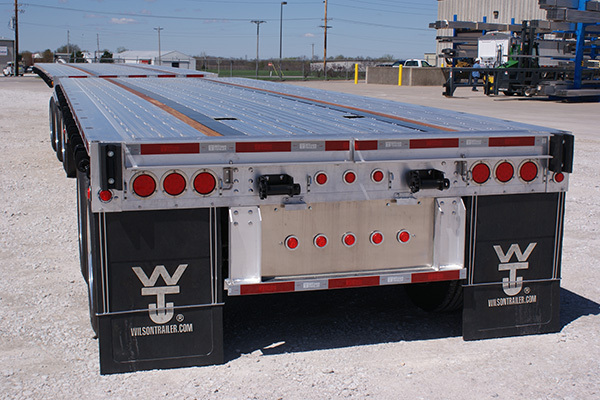 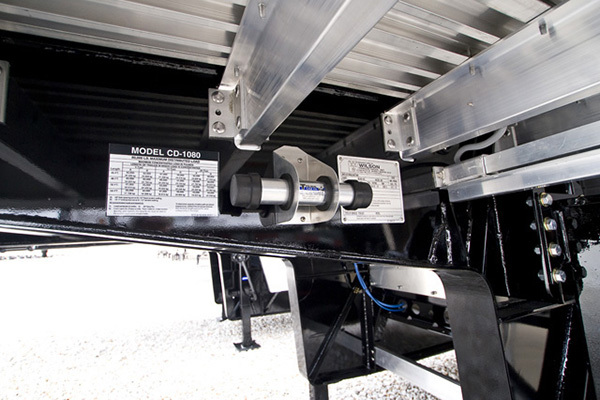 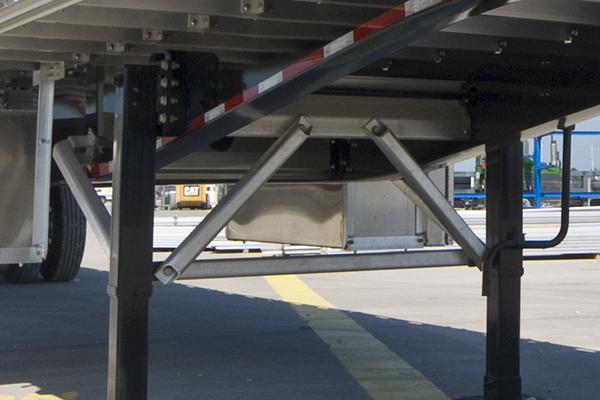 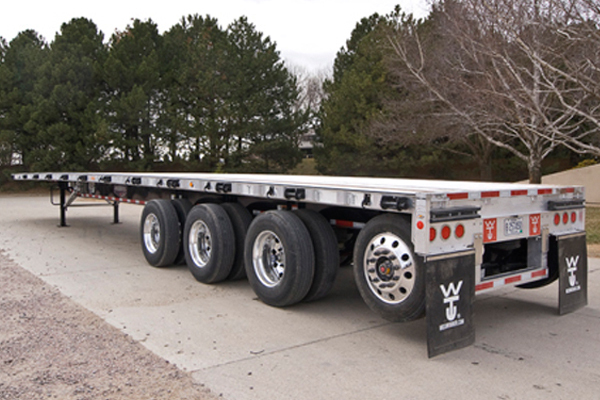 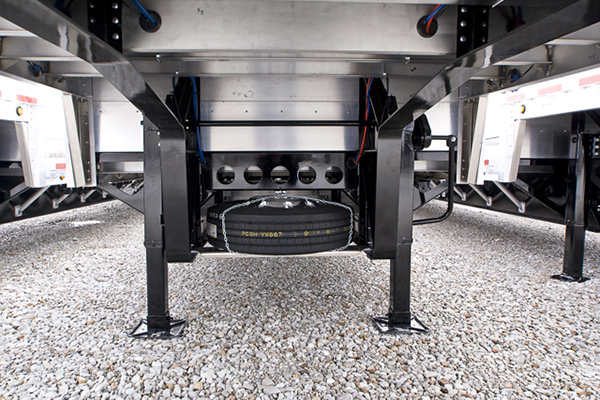 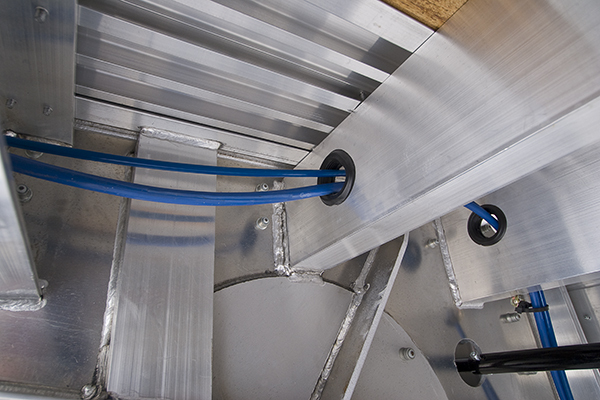 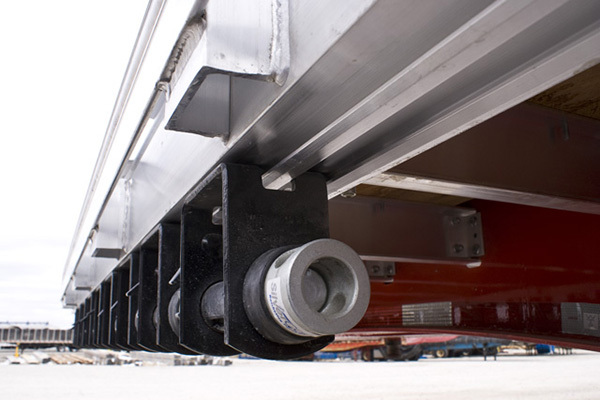 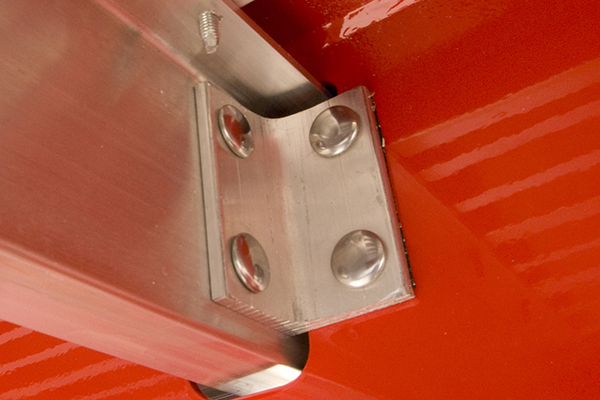 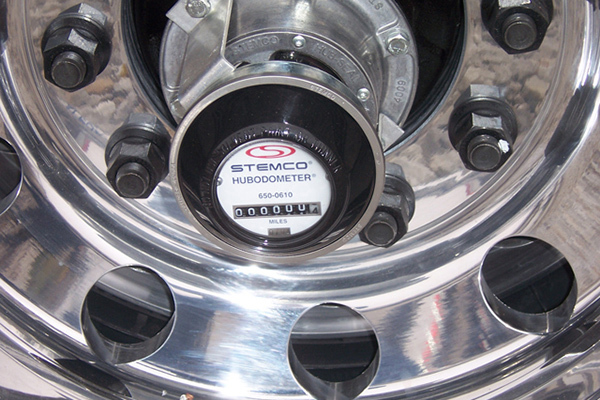 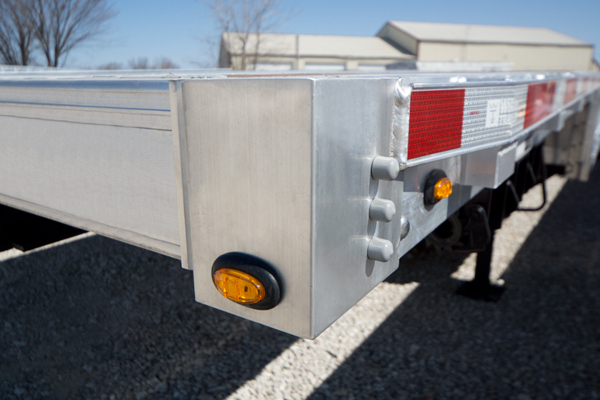 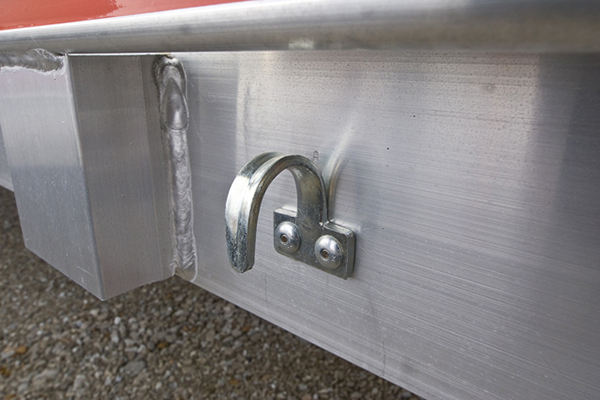 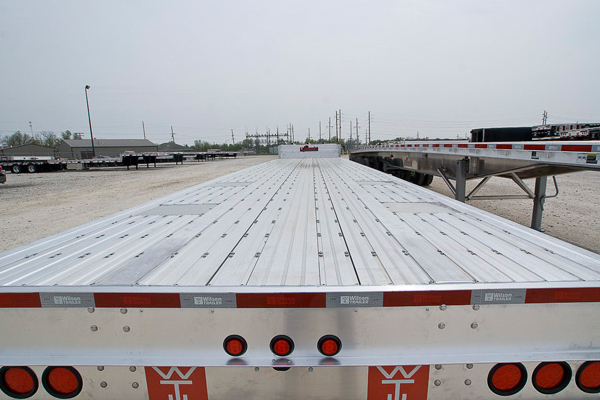 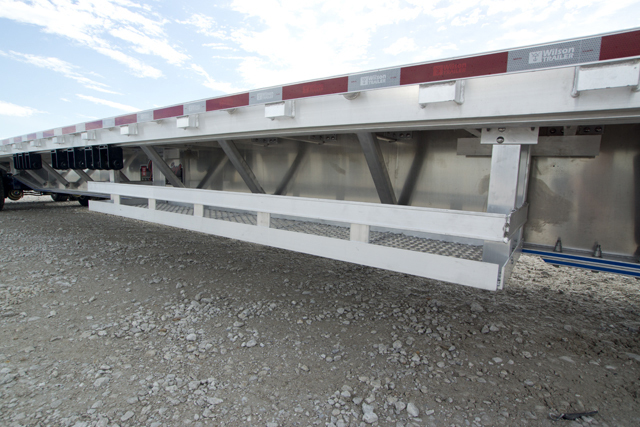 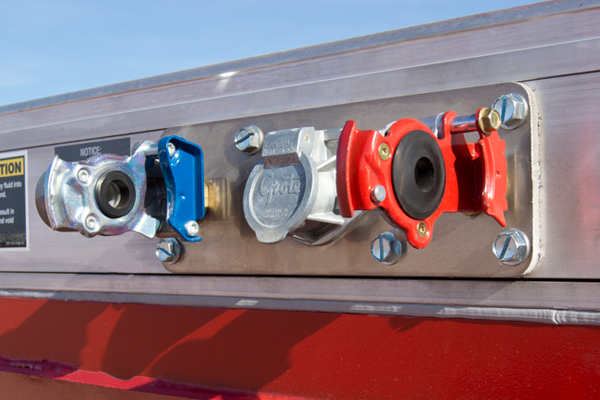 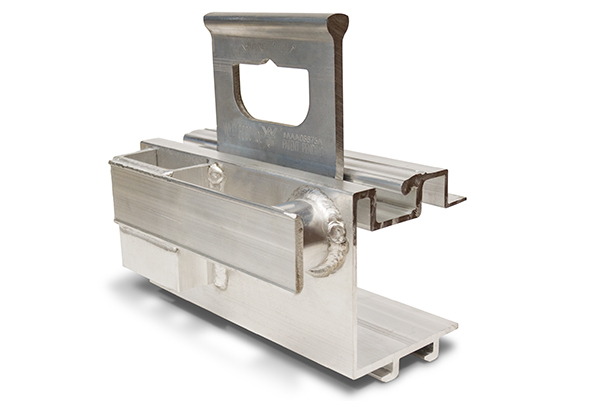 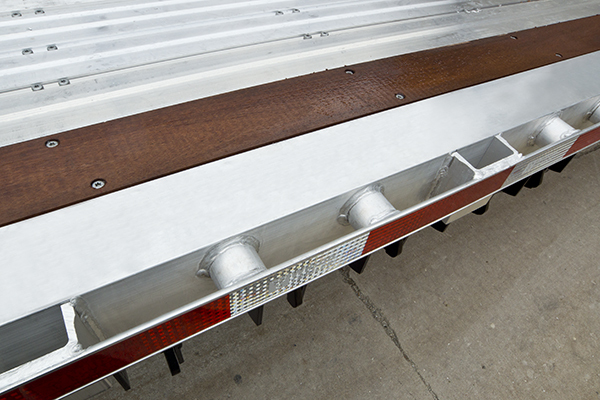 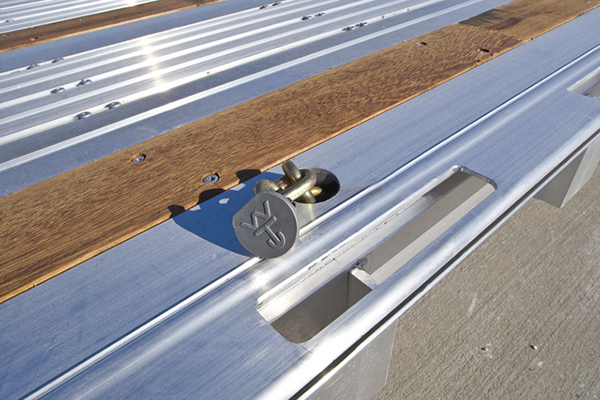 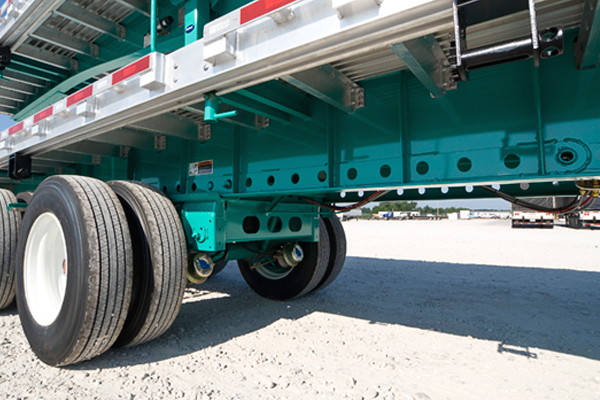 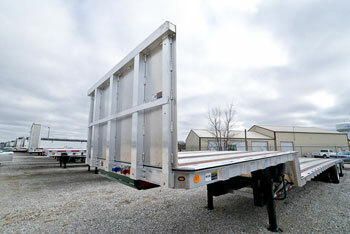 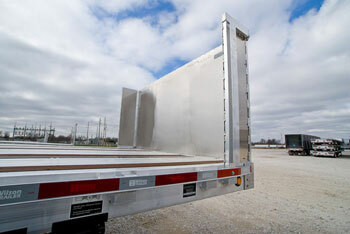 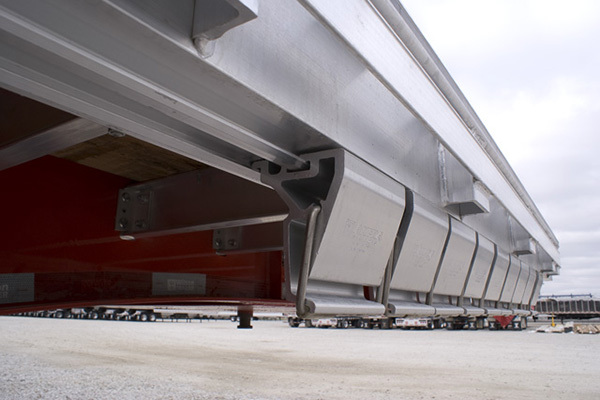 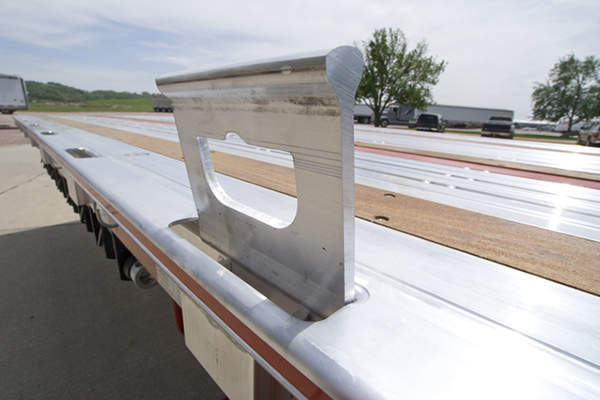 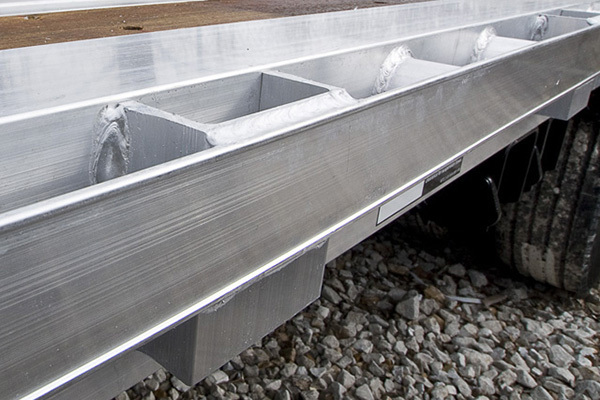 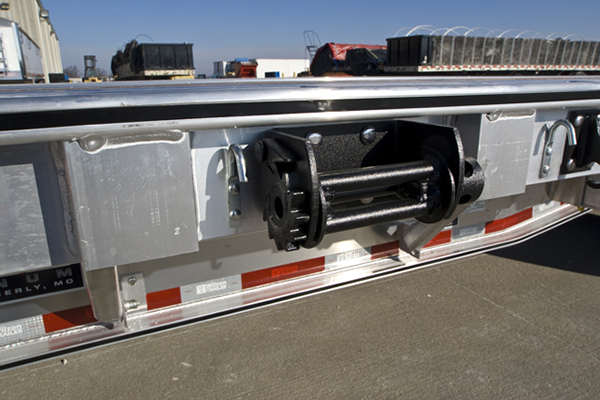 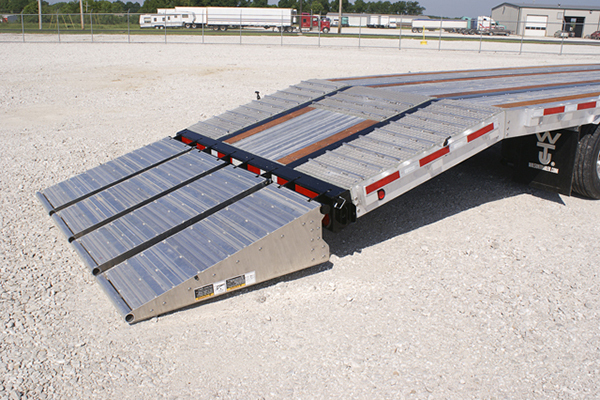 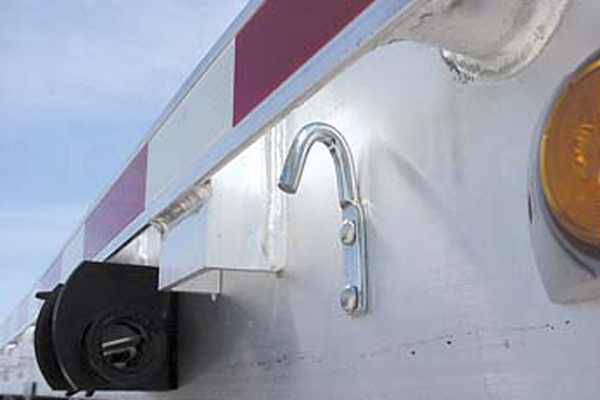 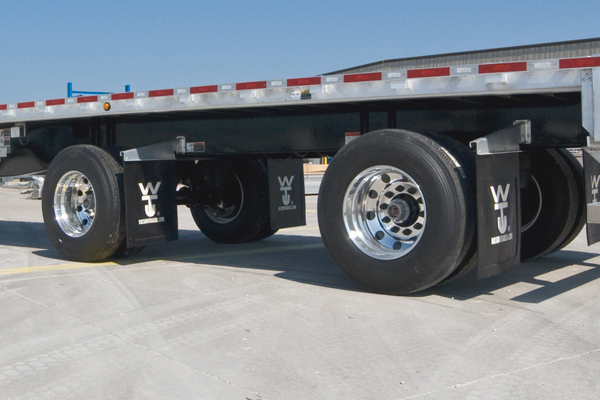 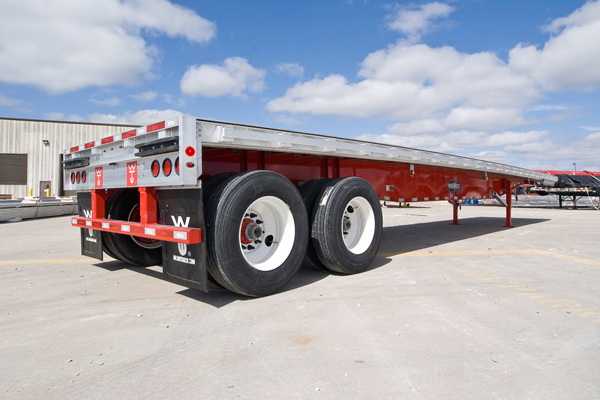 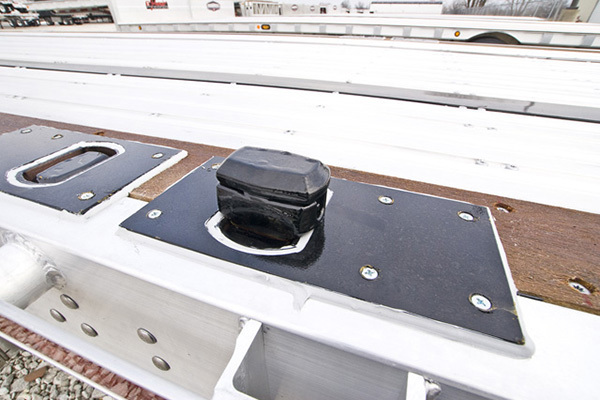 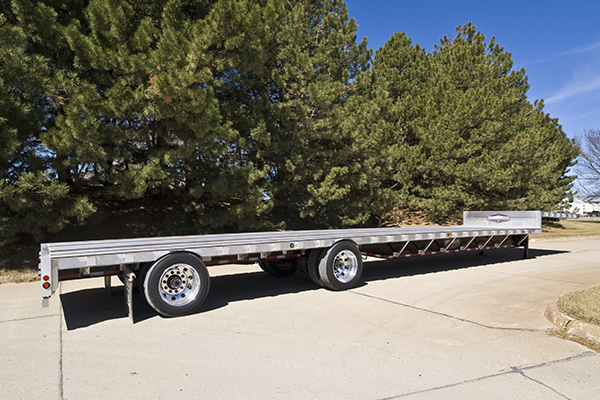 Wilson Trailers also offer a completely galvanized king pin component as an option.